While everyone agrees that learners cover a diverse range of learning styles and needs, delivering the curricula to suit this diversity of learners, including those with disabilities, has been a challenge. Chickering’s (1987) Seven Principles of Good Practice (below) provides the rationale for establishing a flexible and supportive learning environment. While these principles formed the basis of teaching strategies prior to the development of the principles of universal design, they are still used in many instructional programs as they offer a common sense approach to instruction. Recent theorists offer new approaches to instruction that consider the range of diverse learning needs, and recommend new ways of designing the curricula. The concept of universal design has been recently applied instruction and learning by various institutions and organizations as it presents an attitude and approach to design of services, objects, systems, and environments to ensure that they are equally accessible and inclusive to the largest number of people possible, The goal is to ensure that the services, objects, systems, and environments can be simultaneously experienced by the largest number of people possible. Scott, Shaw, & McGuire (2003) at the University of Connecticut established 9 principles of Universal Design for Instruction (UDI); they used the original 7 principles of universal design which were architecturally based, (NSCU, 1997), added instructional definitions for each principle, plus added 2 new principles identifying a community of learners and instructional climate as key roles in instruction. Their research has taken place both in university and college environments, moving well beyond the built environment. 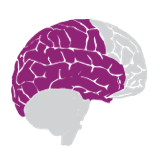 The Center for Applied Special Technology (CAST) identified 3 primary principles as the basis for Universal Design for Learning (UDL) and did not use the original principles of universal design as the starting point (Rose & Wasson, 2008). These primary principles have sub categories and offer strategies for teaching that allows for individual differences. While the bulk of the research at CAST has been centered on kindergarten through grade 12 instruction, they have been expanding the use of these principles in higher educational settings to ensure their relevancy for learning of all ages. Several projects have also been exploring ways to apply these principles to postsecondary instruction. 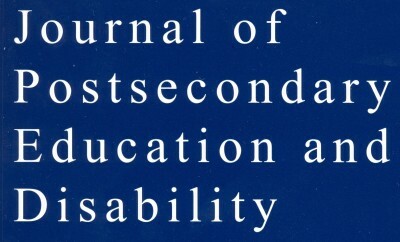 The Curriculum Transformation and Disability Center at the University of Minnesota has several publications based on their research and experience, including “Principles for Applying Universal Instructional Design”. They have developed a list of criteria to guide the design of a course using the principles of universal design. Whether one uses the principles of UDI or UDL, the outcome is intended to be the same – to increase the opportunity for diverse learners to fully participate in the learning environment. This new view of curriculum design reduces the pressure on an individual person to fit into an inflexible instructional environment as well as reduces the need to provide individualized accommodations or retrofit activities. The point is to ensure that learning and instruction are inclusive, present flexible options, lead to increased independence, and simultaneously experienced by the greatest number of students possible. The following table provides a list of Chickering’s principles of good practice along with a description of each. 1. Encourages Contact Between Students and Faculty Frequent student-faculty contact in and out of classes is the most important factor in student motivation and involvement. Faculty concern helps students get through rough times and keep on working. Knowing a few faculty members well enhances students’ intellectual commitment and encourages them to think about their own values and future plans. 2. Develops Reciprocity and Cooperation Among Students Learning is enhanced when it is more like a team effort that a solo race. Good learning, like good work, is collaborative and social, not competitive and isolated. Working with others often increases involvement in learning. Sharing one’s own ideas and responding to others’ reactions sharpens thinking and deepens understanding. 3. Encourages Active Learning Learning is not a spectator sport. Students do not learn much just by sitting in classes listening to teachers, memorizing pre-packaged assignments, and spitting out answers. They must talk about what they are learning, write about it, relate it to past experiences and apply it to their daily lives. They must make what they learn part of themselves. 4. Gives Prompt Feedback Knowing what you know and don’t know focuses learning. Students need appropriate feedback on performance to benefit from courses. When getting started, students need help in assessing existing knowledge and competence. In classes, students need frequent opportunities to perform and receive suggestions for improvement. At various points during college, [and university] and at the end, students need chances to reflect on what they have learned, what they still need to know, and how to assess themselves. 5. Emphasizes Time on Task Time plus energy equals learning. There is no substitute for time on task. Learning to use one’s time well is critical for students and professionals alike. Students need help in learning effective time management. Allocating realistic amounts of time means effective learning for students and effective teaching for faculty. How an institution defines time expectations for students, faculty, administrators, and other professional staff can establish the basis of high performance for all. 6. Communicates High Expectations Expect more and you will get more. High expectations are important for everyone — for the poorly prepared, for those unwilling to exert themselves, and for the bright and well motivated. Expecting students to perform well becomes a self-fulfilling prophecy when teachers and institutions hold high expectations for themselves and make extra efforts. 7. Respects Diverse Talents and Ways of Learning There are many roads to learning. People bring different talents and styles of learning to college [and university]. Brilliant students in the seminar room may be all thumbs in the lab or art studio. Students rich in hands-on experience may not do so well with theory. Students need the opportunity to show their talents and learn in ways that work for them. Then they can be pushed to learning in new ways that do not come so easily.